Apple released the newest version of its operating system, iOS 12, in September 2018. The release included several new features for both consumers and developers. From speed improvements to enhanced interactivity to integration of new technological innovations—there’s something to increase the smile of any iPhone enthusiast. Here are three of the best iOS 12 features developers can leverage to extend the functionalities of their apps. Siri, the intelligent personal assistant, which was originally released on the iOS platform in 2010, is getting even more smarter. 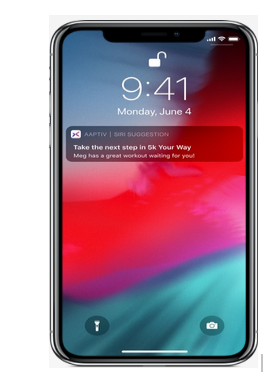 In the iOS 12 operating system, Apple has added a new Shortcuts feature that allows users to go through multistep routines without any hassles. For example, users can now use their voice to pair their regular routines with your apps and customize shortcuts to suit their needs. You can use the Siri Shortcuts API to assist users swiftly complete activities that are related to your app. This way, if a user indeed loses his or her keys, they can inform Siri and it will straightaway begin ringing the Tile. Apple initially introduced machine learning on the iOS 11 operating system. In iOS 12, the tech company has taken things a notch higher by introducing amazing functionalities to assist developers make the most of this innovative technology. In the new machine learning platform, Apple has introduced Core ML 2, which is the second iteration of the framework, to allow developers create applications with intelligent features without writing too many lines of code. The Core ML 2 allows you to speed up machine learning tasks, by more than 30%. You can also use the framework to easily integrate versatile machine learning models and take the complexity of your apps to the next level. When Apple originally introduced machine learning in iOS, the developer community did not take full advantage of it. However, in iOS 12, the company has included a new Create ML framework, which allows developers to easily create and train models on Mac without prior machine learning experience. The framework integrates into playgrounds in Xcode 10. Therefore, you can see the model building workflows in real time. 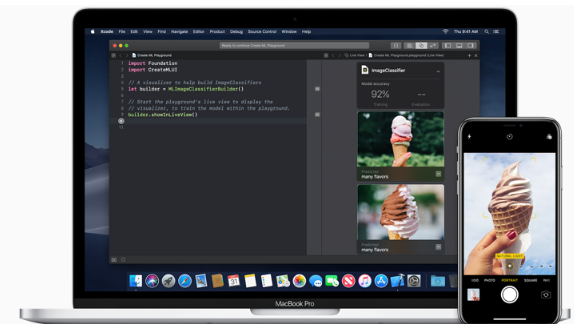 With just a few lines of Swift code, you can take advantage of Apple’s machine learning technologies and build models capable of completing a variety of tasks. 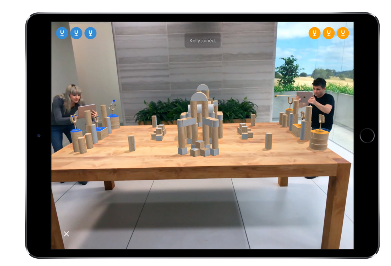 ARKit, also introduced in iOS 11, allows developers to integrate remarkable augmented reality experiences in their apps. iOS is the largest AR platform in the world and the new enhancements affirms Apple’s commitment to make the platform more suitable for creating incredible experiences. The ARKit 2 on iOS 12 allows you to create apps where multiple users can experience the immersive experiences simultaneously. Your apps can also intermingle digital objects and the real environment, enabling users to experience even deeper immersive episodes. With the new features updated in iOS 12, developers can enjoy a refreshing and rewarding app development process. Do you know of other best iOS 12 new features? Which of the latest iOS features are you likely to leverage in your next application?